Hi everyone. 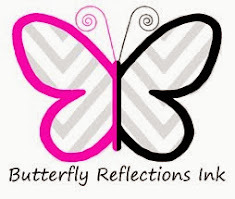 Vera here today with my 1st post for Butterfly Reflection Ink. I am so excited to be joining this fabulous team. Let's get on with it, shall we. As an animal lover, I am a big fan of cute critters. 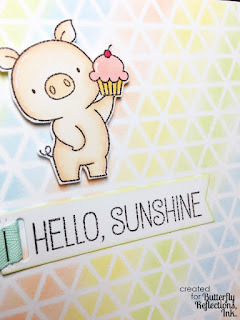 So, for my 1st post, I decided to use cute critter from one of my all time favorite company, My Favorite Things. I made my card based on their latest sketch challenge. Then, I die-cut the banner using one of the banner from Die-namics Tag Builder Blueprint 5 and stamped the sentiment from Polynesian Paradise set. 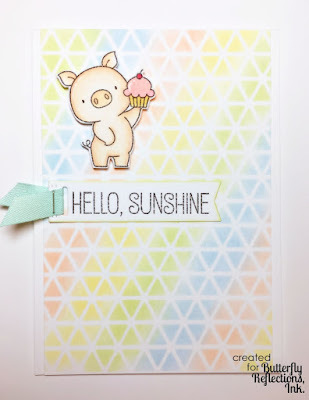 To finish, Iadd shimmer to the cupcake and randomly on the triangles using Wink of Stella Clear. Kind of hard to capture the shimmer on picture. But, here's a close up look of this cutie patootie. Well peeps, I hope you enjoy today's post. Have an awesome weekend!! 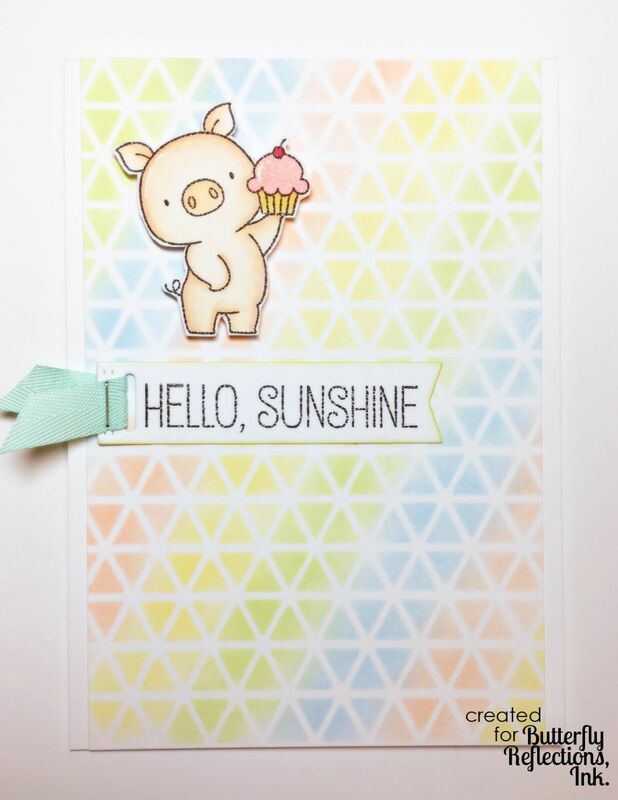 Love that little piggy!! Super cute card, Vera!!! Vera, this is adorable and you can gush over cute animals all you want. I'll gush along with you!! Congrats on your dt position! !